With the holiday weekend fast approaching, Leaping Bunny wants to give you the latest cruelty-free scoop before you stop checking e-mail and start relaxing. 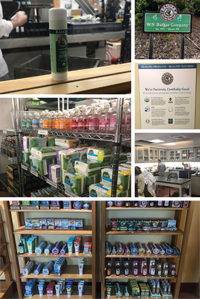 Last month, Leaping Bunny Program Manager, Kim Paschen, visited two of our certified companies and discovered some pretty cool things about them. Read on for the details. 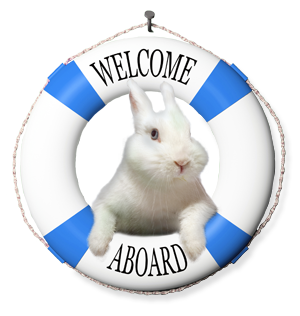 Also included in June's e-newsletter: We share a few of our latest favorite products, announce our newest cruelty-free companies, and learn more about Leaping Bunny certified company, Back to Basics, in our Spotlight Interview. Have a safe and happy 4th of July and remember to keep your pets indoors while all the fireworks are going off! 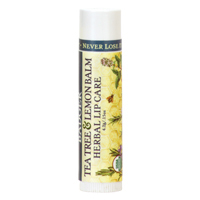 Just when I thought I had experienced it all when it comes to lip balms, I came across this product. I snagged a tube after a visit to Badger's headquarters last month and have been delighted with it ever since. The pleasing herbal scent, coupled with a lovely cooling sensation, have made this a go-to product for me. Added bonus: the tubes are oversized so the application is super easy, and the product stays on for hours. There is certainly more to Cake Face Soaping than just soap! 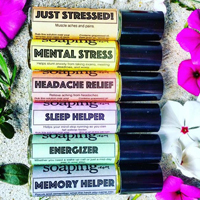 While their bars and bath bombs look amazing, we are pretty excited about their roll-on aromatherapy oils. Our absolute favorites are Energizer and Sleep Helper. The Energizer roll-on works great for that inevitable post-lunch dip in energy, so I keep it at my desk for instant rejuvenation. And while I was skeptical about using the Sleep Helper roll-on, a little bit on my temples and wrists has helped me fall asleep almost instantly. This mask comes dry, so it is perfect for travel. The rich, chocolaty powder infused with Kaolin clay plus oatmeal can be mixed with almost any type of liquid. I made my mask by adding honey, which resulted in an ultra luxurious (if a little sticky) application that smelled heavenly. After leaving on for about 20 minutes and rinsing with warm water, my face felt amazing: clean but moisturized. It's a perfect formula for making your own fresh masks! 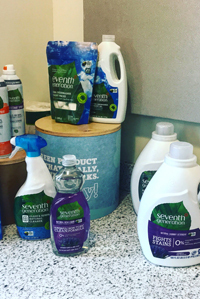 One of the things I love most about working on the Leaping Bunny Program as Program Manager is the ability to travel to our companies' headquarters, from time to time, to get the insider scoop on how they churn out their cruelty-free products. Recently, I ventured to the Great Northeast to visit two companies, Badger, in Gilsum, New Hampshire, and Seventh Generation, in Burlington, Vermont. Here's a recap so you can go behind-the-scenes too. The W.S. Badger Company is located in the middle of nowhere and is surrounded by the beauty of flowing creeks and lush forests. The family-owned company manufactures most products in-house (and will soon be doing everything in-house once their sunscreen filler room is installed). I got to tour the offices (so much natural light! such friendly people! ), have a gourmet lunch (yes, all employees are treated to lunch every day with products harvested from their own organic farm), and then do a presentation for Badger employees about the Leaping Bunny Program. Finally, I did a Facebook Live tour of the facility with the daughter of the head Badger. Watch it here! I don't have one favorite moment of the visit, but I did love seeing our logo proudly displayed on one of their wall hangings! The headquarters for Seventh Generation are nestled into a totally renovated LEED certified building overlooking beautiful Lake Champlain. Hence, their conference room was no ordinary conference room with its amazing views. I was fortunate to be able to attend an audit conducted by our independently contracted Leaping Bunny auditor (all companies that become Leaping Bunny certified must agree to be audited to ensure they are in compliance with our Standard). The audit went smoothly and we are happy to report Seventh Generation passed with flying colors. Although they do not manufacture onsite, I went on an office tour and discovered employees were allowed to bring their dogs to work! Finally, I gave a well-attended talk about the Leaping Bunny Program, during a brown bag lunch, to Seventh Generation employees. 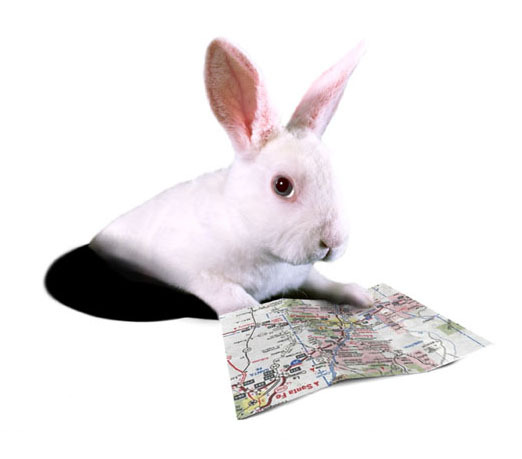 Leaping Bunny never tires of learning about, working with, and certifying new cruelty-free companies. We are so grateful for all of the support and dedication companies make to create products free of animal-testing. Below are some of our latest certified companies. Please click their links to learn more and show them some love on social media. High performance, natural skincare that is 100% plant-based, customizable, and created in small batches. Vegan, paraben- and sulfate-free, anti-aging skincare lines created by a licensed cosmetologist. Vegan mineral makeup that is handmade, affordable, and of high quality. Haircare products created especially with boys in mind. Check out our review of the shampoo and conditioner on the Leaping Bunny Blog. Luxury skincare products formulated using science and plant-based raw, organic ingredients. Plant-based skincare inspired by the founder's Ghanaian heritage. Vegan lip products in bold, playful colors. Premium soaps and body scrubs made from organic coffee. Sophisticated nail lacquer inspired by the historical elegance of flowers. Check out our recent #manimonday post featuring Flora 1761. 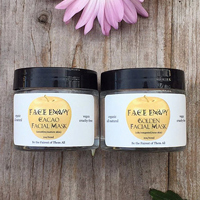 Hydrating facial masks infused with powerful flower ingredients and aromatherapy. Los Angeles-based cosmetics company specializing in liquid lipsticks. Eco-friendly body care products created by a licensed aesthetician. Soaps and personal care products made with farm fresh ingredients from local farmers in Marietta, GA. All-natural skincare line created by a holistic doctor. Skincare line, created by a fourth-generation pistachio grower, that harnesses the power of vitamin and mineral rich California pistachio oil. Asian-inspired skin care line featuring beneficial coconut oil, olive oil, and plant extracts. Salon quality male grooming products. Handcrafted, premium toothpaste that uses carefully selected natural ingredients. 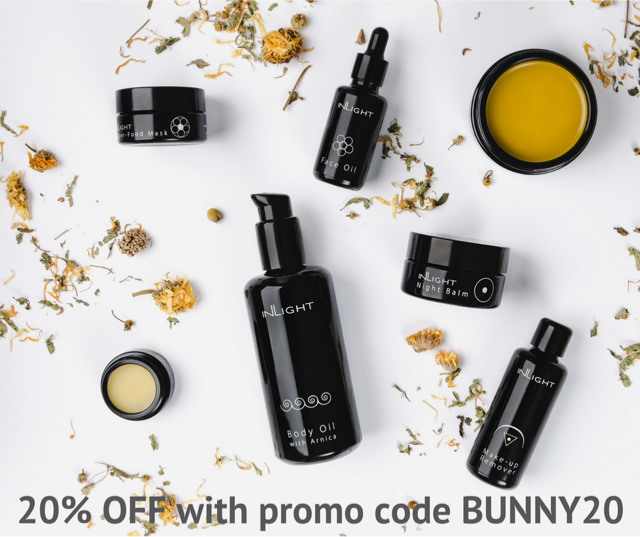 Back to Basics Skincare is a newly Leaping-Bunny-certified company that specializes in all-natural, customizable skincare. We were excited to interview Manon, the company's founder who began the line in her New York kitchen. Read below to learn about the company's inception, products, and what makes it stand out. What was the inspiration behind the creation of Back to Basics? I was having a really hard time with my skin and got a suggestion from my dad to use Vitamin E oil for my acne scarring. It was game changing for me. My skin was so much happier! I couldn't believe something so natural could help my skin so much. I decided to do some research and learn more, and then Back to Basics was born. I formulate products I truly like to use every single day that really work! What is Back to Basics' mission? We want to create all-natural, cruelty-free skincare that feels luxurious and is really effective and make it accessible to everyone! We also want it to be really easily incorporated into anyone's skincare regimen. That is why everything is formulated to be easily mixed and matched with each other and other products in people's everyday routines. Are all of Back to Basics' products vegan? Yes, they are all vegan! 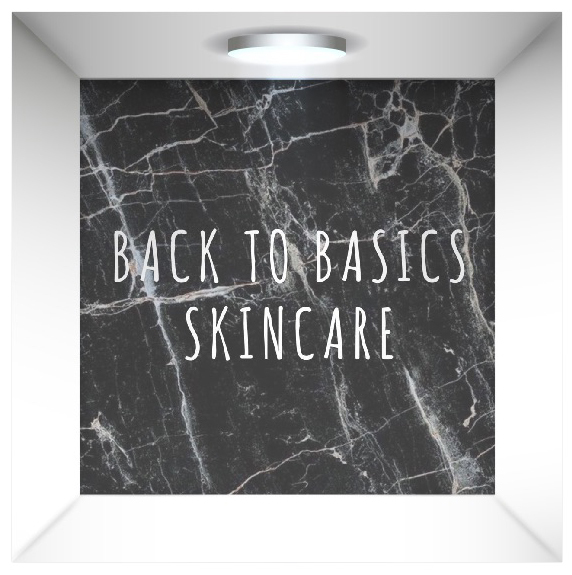 What is your favorite Back to Basics product and why? My personal favorite is the rosehip radiance oil. I have always had acne and the hyperpigmentation that came along with that. That oil not only helped clear up my skin (I barely ever get breakouts anymore! ), but it helped fade and get rid of most of my acne marks. The marks have always taken years to go away and this product did it so quickly! It is my holy grail skincare product. What makes Back to Basics different than other similar brands? Affordably Priced: I think one of the big thing that sets us apart is our price. Finding a serum or oil that uses more than 1 or 2 ingredients that isn't above $70 is tough! I wanted to make a product that was just as good but also was below $50! Customizable: I formulated all of these products to be easily mixed with other products in your routine. foundation, other oils, serums, creams, you name it! I needed to ensure that the products played well with others. One to two drops is all you need to customize something just for you. Unisex: These products work well with men and women's skin. For men, the formulas work well for skin issues they have, as well as double as a beard oil. For women, the products help with the many of skin issues we always have and want to change. The products are also safe to use on children! What has been the most rewarding part of creating Back to Basics? Making a product that has not only helped me but has also helped others has been so fulfilling! I have learned so much during this entire process and I am still learning. It has been so amazing and I cannot wait to see what the next step for Back to Basics will be. Why is being Leaping Bunny certified important to Back to Basics? I think being cruelty-free is so important, and being Leaping Bunny approved is a way to assure all customers that we are really 100% cruelty-free. Being ethical in our practices is something I want people to know we guarantee and that we follow your Standard, which is so highly regarded. What is something unique about Back to Basics that others may not know? Everything is handcrafted and made to order. I want to be able to control all the ingredients and ensure everything we created is perfect.